Single & twin axle options from 1400kg to 3500kg. 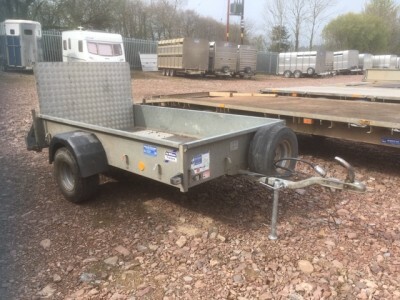 Our General Duty trailers are at home in almost any environment, with virtually any type of load, from building materials to expedition equipment. Tough, adaptable and easy to maintain, the General Duty range is designed to withstand the daily rigours of the construction industry and other arduous conditions. 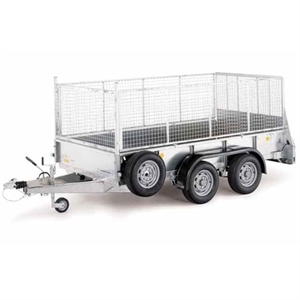 GD trailers are built around a welded steel, galvanized chassis with fixed front and side panels. These panels are constructed from formed galvanized steel and are supported by galvanized steel channel sections. The general Duty range is offered in width options from 1.23m/4’ to 1.71m/5’6″ (internal width), and length options from 1.84m/6’ to 3.71m/12’2″. All models are fitted with the Ifor Williams beam axle and leaf sprung suspension and either a tailboard or rear ramp with assistor. 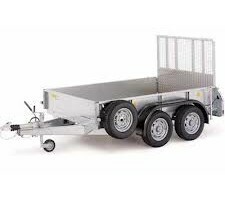 Our General Duty trailers are available with a number of axle options and a maximum gross weight ranging from 1400kg to 2700kg.